The Board of Trustees of Americold announced that Northern Illinois University graduate Fred W. Boehler, the company’s Chief Operating Officer, also has been named as president, effective March 31. As President and Chief Operating Officer, Mr. Boehler assumes the senior executive leadership role at Americold. Jeffrey M. Gault, President and Chief Executive Officer, is retiring and will continue to serve on the Americold Board of Trustees. Mr. Gault and Mr. Boehler will work closely during the coming weeks to ensure a smooth transition of leadership. “Fred is a talented leader with extensive experience in logistics and supply chain management. He has demonstrated keen strategic vision as an integral part of our senior leadership team, along with the ability to drive positive change throughout our operations. I have tremendous confidence in his capabilities to lead Americold,” said Gault. 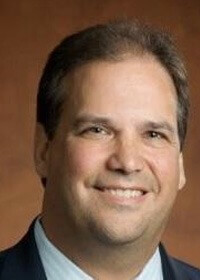 Boehler joined Americold in February 2013 after serving as senior vice president of Supply Chain with SUPERVALU, Inc., a leading grocery retailer and wholesaler supplying more than 4,300 stores. Prior to SUPERVALU, Inc., he was senior vice president, Logistics & Purchasing at Borders Group, Inc., where he oversaw Distribution Operations, Industrial Engineering, Logistics Planning and Purchasing. He holds a master’s degree in International Business from NIU.